Can you tell me something about this vase, of which period would this vase be. 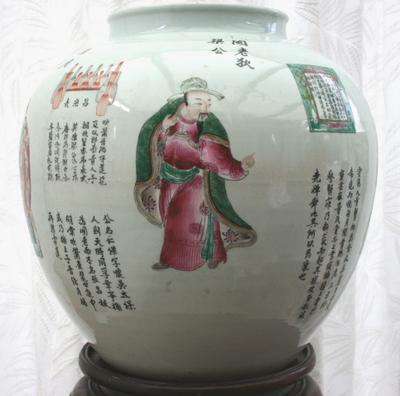 the vase is marked at the bottom I think Kangxi, but this is probably a later period. I have better photos on photobucket. 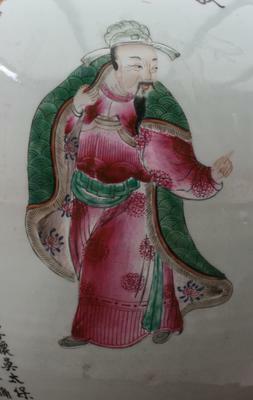 20th century jar shape with decoration in the style of the type of painting with emperors and high officials commonly found on mid-19th century wares. Probably dates to the 1950s-60s. 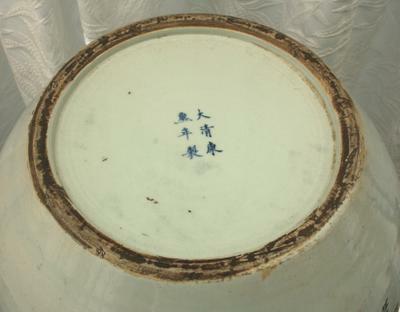 There is a spurious Kangxi mark, and the foot rim was darkened to make it look old. In the text I found two simplified characters. 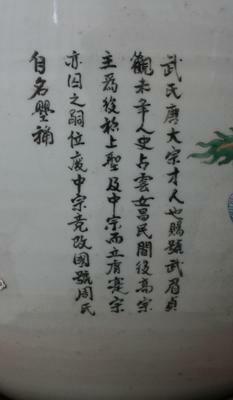 Simplified characters were used from the 1960s. These alone make it impossible that this is an authentic antique, I'm afraid.